Indian School of Business and Finance (ISBF) was started with the vision of providing quality and world class education to the students. The curriculum is international based and the college has committed and highly qualified lecturers with career oriented pedagogy. The main aim of the college is to achieve excellence in the fields of Economics, Management and finance since the day it was incepted i.e. in the year 2006. 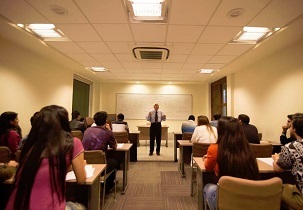 ISBF provides the students with undergraduate degree like B.Sc. and post graduate diploma courses as per the academic direction of London School of Economics and Political Science. The institute has become globally Affiliate Centre which means the facilities, lecturers and academics is as per the international standards. The students are also encouraged for extracurricular activities in order to develop their skills and to attain over all development. Some of the recruiters are Infosys, Grail Research, Genpact, Accenture etc. 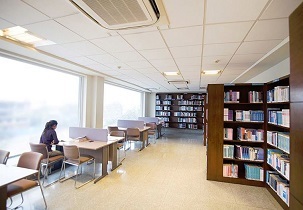 Computer lab, AV room, Sports, Games, Canteen, Library with huge collection of books etc. ISBF was given the Dewang Mehta National Education Award in the year 2015 for the best academic input in finance. The campus has state of art facilities which is well equipped with ambient environment for the students at the heart of South Delhi. Huge numbers of students were awarded with international work placement for one year in leading MNCs in New York and London by the Mountbatten Institute. The institute is given Affiliate Centre status by the London University. The Careers Service Division (CSD) has huge connections with alumni across the country in order to provide the students with good professional opportunities. The students are provided with one year international work placement and are exposed to internships and industry projects to make them corporate ready. The students are provided with personality development, stress management, soft skill workshops, academic workshops, presentation and seminar to help them gain knowledge about the industry. 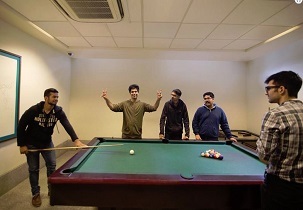 The off-campus hostel facility is present within five minute walk from the college with separate accommodation for both boys and girls with few seats on offer. The candidates have to offer for the ISBF Student Residential Accommodation (ISRA) for getting the rooms allotted after the admissions. 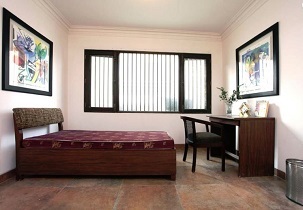 The rooms are air conditioned with single, double, triple and four sharing rooms with wardrobe, bed, and chair and study table for each student and have fans, lights and geysers to provide homely feeling for the students. 24 hours cameras and security guards are present at entry and exit gate to ensure the safety of the girl students. 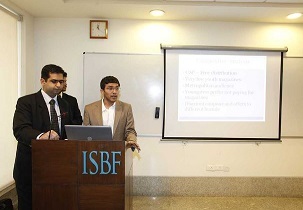 ISFB provides the students with undergraduate course like B.Sc. (Hons) and post graduate diploma courses with various specializations to fulfill the needs of the present industrial situation and achieve social and economic development of the nation. Admission details fee structure nd hostel facilities? i am pursuing b.com final year from can i apply for mba than how to apply and last date? Sir,i am securing more than 60% in BBA from manipal university ( distance learning) am i eligible ?? Write Your Reviews on "Indian School of Business and Finance"
Are you Interested inIndian School of Business and Finance"? Please provide the following details. Ask Question on "Indian School of Business and Finance"?